The Advanced Workbook for Spiritual & Psychic Development is full of exercises and visualisations. And if you’re using the Course Companion to run circles or workshops there’s a meditation for every week. To make it easier for you to use them we have created audio versions. 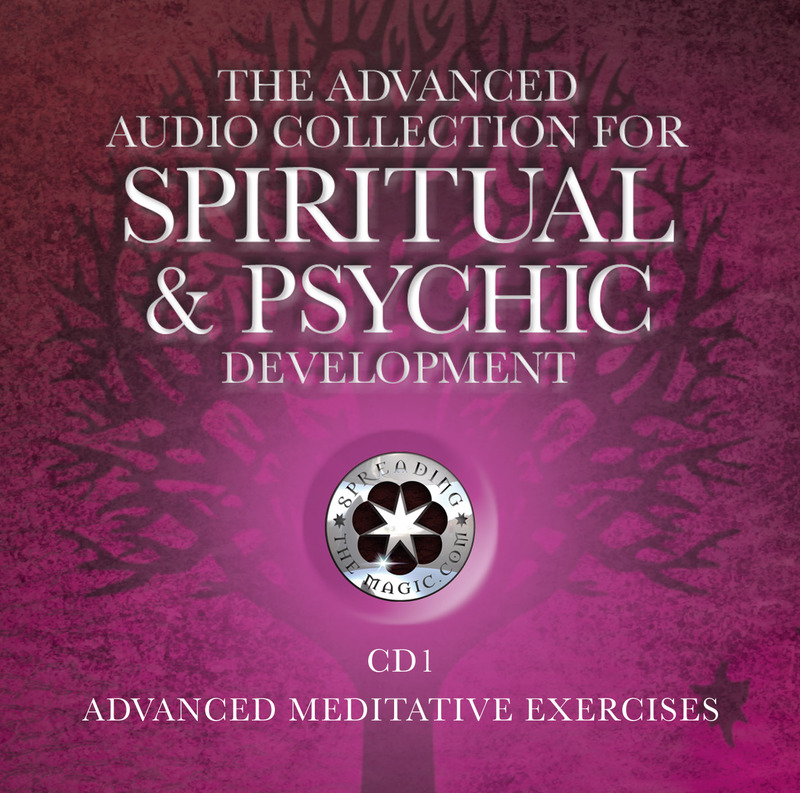 You can purchase The Advanced Audio Collection For Spiritual & Psychic as MP3 downloads from various online stores, however, as a valued reader, you can get a special offer right here of just £9.99 for the whole collection. These visualisations are designed to relax, revitalise and inspire, as well as to assist you in your psychic and spiritual development. While they are perfect to use alongside the workbooks, the majority are also great to use on their own when you need some quiet relaxation time. Advanced Meditative Exercises including ‘group opening & protection’ and ‘closing & grounding’, plus progressive meditative exercises with a specific purpose in mind (Deeper Meditation Exercises, Assistance with Trance Mediumship, and Out of Body Experiences) are designed to be used alongside our workbooks and with at least one other person. Other meditations can be used on their own as relaxing and restorative visualisations: ‘Enlightenment’, ‘A Walk Down Memory Lane ‘, ‘Journeys through the 3rd eye’, ‘Meet Your Guardian Angel’, & ‘Transforming Potential’, ‘The Inner Scribe’, ‘The Creativity Of Your Soul’, ‘The Garden of Abundance’, ‘Discover a Past Life’ & ‘Exploring the Astral Realm’. Buy them all now in a bundle for just £9.99 and download them straight away.